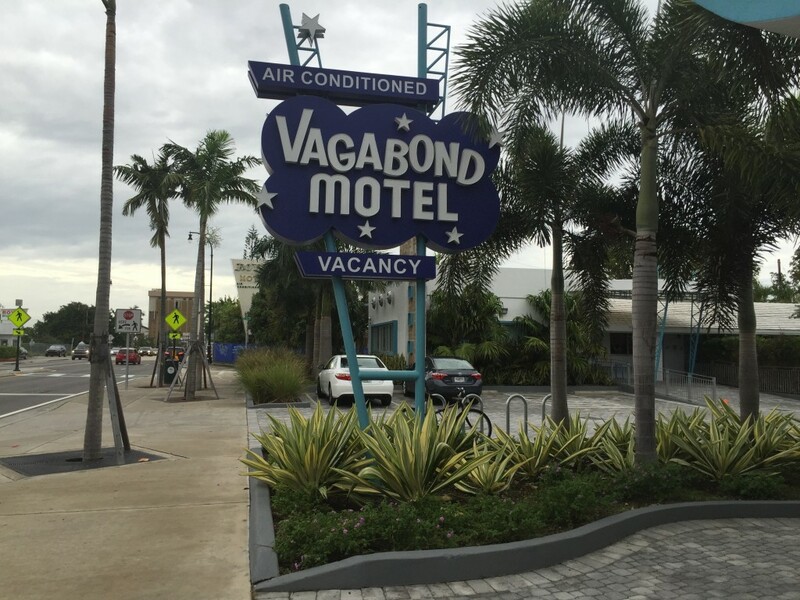 Though I embarked on a visit to the carnival of art and commerce around Art Basel Miami Beach (ABMB) with a predetermined filter for Brazilian art and galleries, it probably wasn’t necessary. So pervasive is the presence of South American art (and languages, as Spanish and Portuguese seem to fill the air as much as English) and Brazilian in particular that you’d have to close your eyes to miss it. What follows are a stream of observations garnered over four days spent in Miami, from the “Swiss Fair” (Art Basel Miami Beach as some of the satellite fair exhibitors like to call it) to private lunches and public happenings. My first Brazilian encounter was with the charming Natacha del Valle from the SP Arte art fair, whose mastery of English is stellar. Turns out she’s a New Jerseyan, now in Sao Paulo thanks to an affair of the heart, which seems to be an especially apt narrative for Brazil. But we talked about people and places, and she pointed out some key galleries to make acquaintance with, and we were on our way. In spite of dire economic news and a fair bit of political upheaval in their home country, most Brazilian gallerists I spoke to remain optimistic and reported a successful fair. 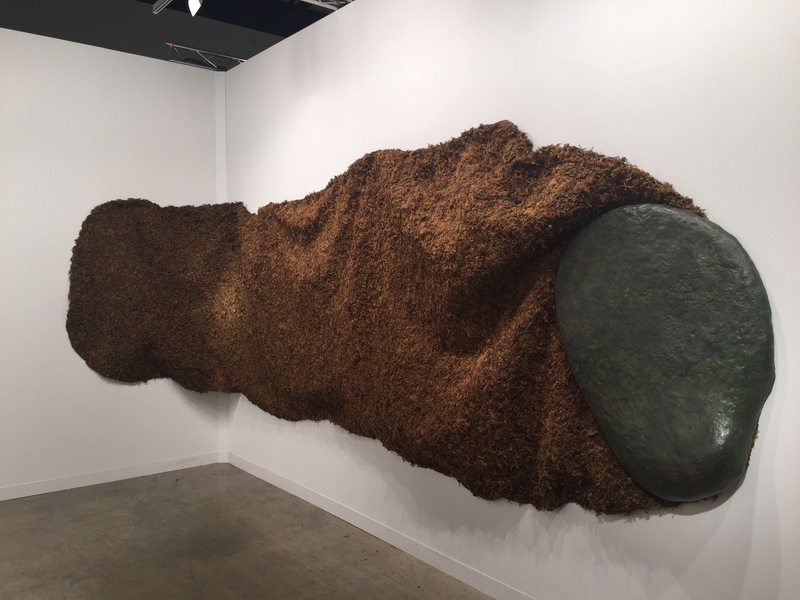 The prevailing approach in Miami was to show a broad array of gallery offerings, as opposed to concentrating on an artist or two (“the stakes are too high to take that risk,” one told me), though a few galleries chose the latter to remarkable results. Galeria Nara Roesler, who recently opened a New York office, was showing a major work by Antonio Dias, the Brazilian artist enjoying a surge in US interest (with works in exhibitions at MOMA and the Walker Art Center this year), alongside a crowd-pleaser (based on the constant flow of iPhone photographs being taken of this mirror-and-wood piece) by the Argentinian Julio Le Parc. Notable, too was the large and powerful photo series by Virginia de Medeiros, who recently won Brazil’s prestigious PIPA Prize. Chatting with the amiable Martin Aguilera from Mendes Wood DM, I could not take my eyes off the colossal “thing” dominating their booth, an untitled work by Solange Pessoa. He assured me I was not the only one, as fairgoers stopped regularly to snap a memory with their cameras. 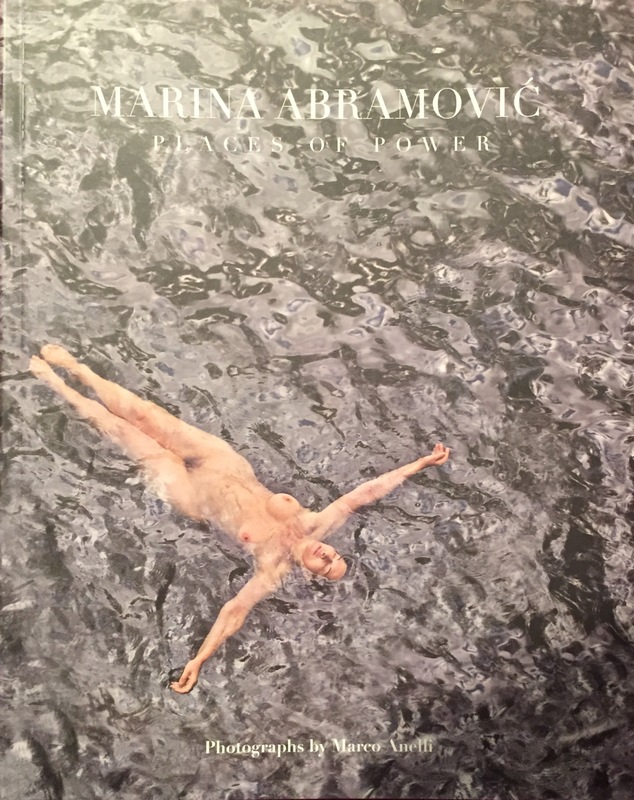 Casual passersby of Luciana Brito Galeria might have incorrectly concluded that, with a booth bordering on a single-artist show, the gallery was simply jumping on the Marina Abramovic bandwagon. However, the acclaimed performance artist has been working with them (and others) for years on a documentary film about her journeys into Brazil’s spiritual spaces. 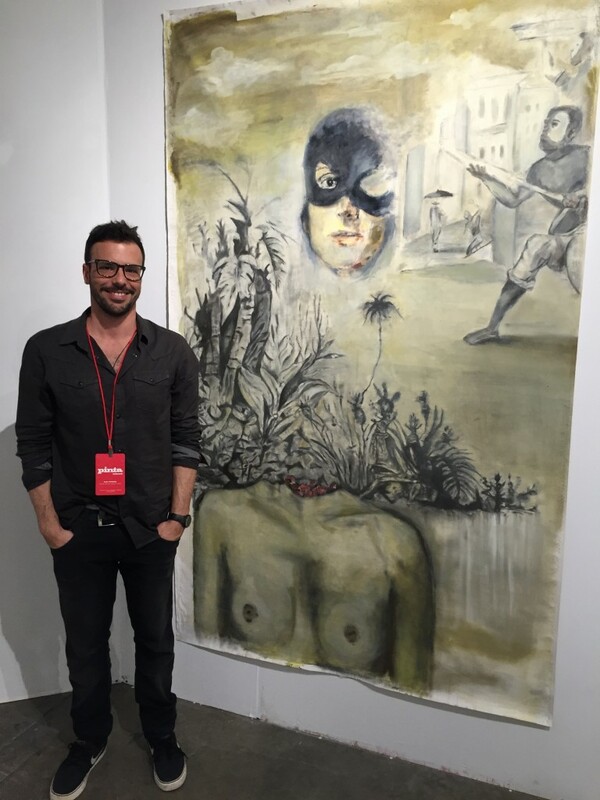 Though the film was originally to be released this past spring, the final date is TBD, as Brito’s Yuri Oliveira reports that at least one more journey into Brazil is on the artist’s itinerary before its completion. The Survey Sector of ABMB asks its galleries to focus on art-historical projects, and Bergamin & Gomide delivered a compelling look at the lesser-known paintings of the seminal landscape architect Roberto Burle Marx (1909-1994). Though Marx is an essential part of the visual landscape of Brazil (his Copacabana Beach pavement, with its famous wave, is one of the first things I laid eyes on in Brazil and his collaboration with Oscar Niemeyer on the modernist masterpieces of Brasilia are legendary), his personal artwork is not well-known. B&G was showing everything from jewelry to paintings, and Thiago Gomide told me about the upcoming exhibition of this work at New York’s Jewish Museum in May, which will eventually end up at the Museu de Arte do Rio in Rio de Janeiro. 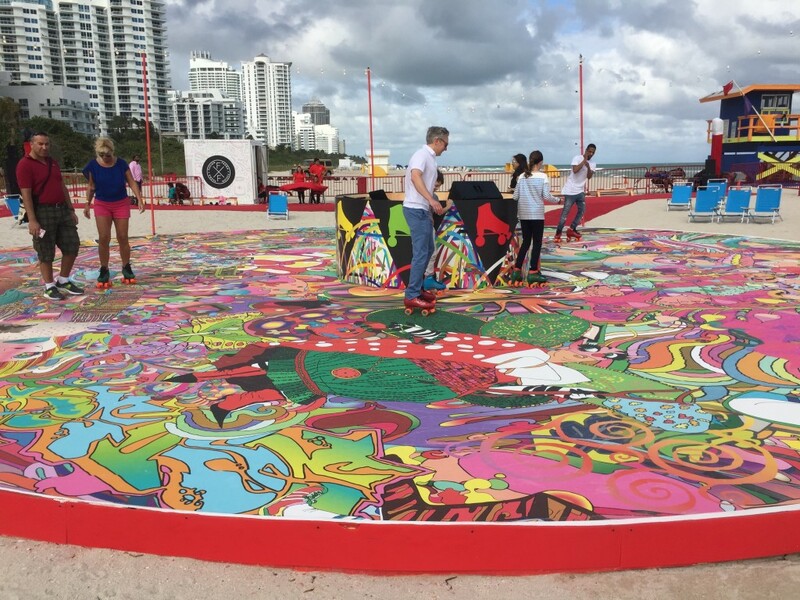 Of course the art circus in Miami has many rings, including dozens of satellite fairs and art “activations” in places both obvious and unexpected. The Argentine real estate developer and hotelier Alan Faena is in the process of single-handedly, it seems, rezoning central Miami Beach into a center of luxurious culture, or perhaps cultural luxury, with his hotel, record-price-setting condo development and in-works Rem Koolhaas-designed cultural center. To make sure his efforts did not go unnoticed, Faena sponsored a few happenings on the beach during Art Week, including our favorite, a reprise of the Assume Vivid Astro Focus Roller Disco that was first created in Buenos Aires. Though the rains and wind that plagued Art Week made scheduling a bit hit-or-miss (our attempted visit Saturday night landed upon a ghost disco), by sunny Sunday afternoon a bit of Xanadu magic was underway. 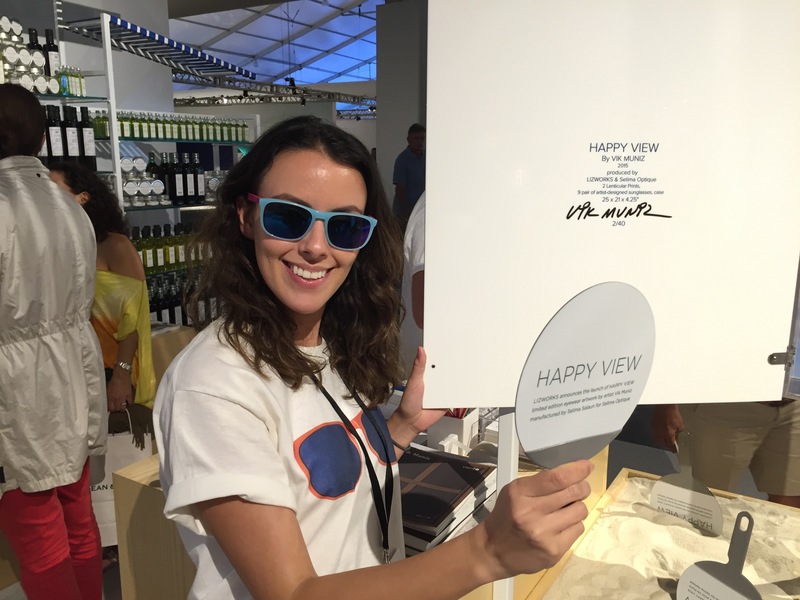 At the Design Miami offshoot of ABMB, a very friendly young marketing associate (of Brazilian descent no less) eagerly shared with us the Vik Muniz-designed sunglass display, commissioned by Selima Optique and Lizworks. 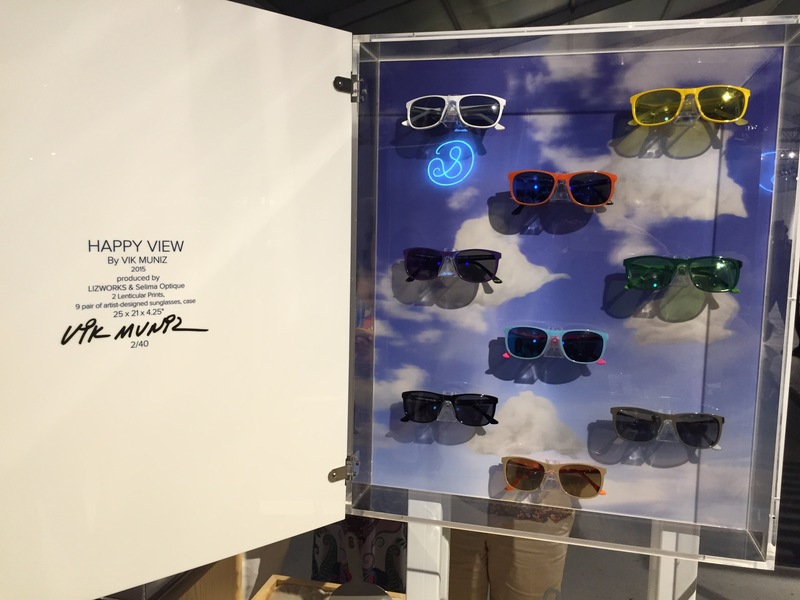 For a cool $12,500, you could own the whole thing, in a limited edition of forty—all nine pairs, the display case and a custom storage case for each pair. It’s called Happy View, and if you can afford it, so it will be. I did manage to get to mainland Miami for one day, lured by a lunch at the trendy Vagabond Hotel hosted by the foundation of Oswaldo Vigas, the late Venezuelan modernist, who will be the subject of a large retrospective arriving in São Paulo’s Museu de Arte Contemporanea da Universidade de São Paulo (MAC USP), opening in April. Though I was invited by the NYC art PR firm Susan Grant Lewin Associates, I sat at lunch with the enchanting Brazilian publicist Mai Carvalho, who told me she’d originally sent some of Newcity Brazil’s writers our way. Small hemisphere! 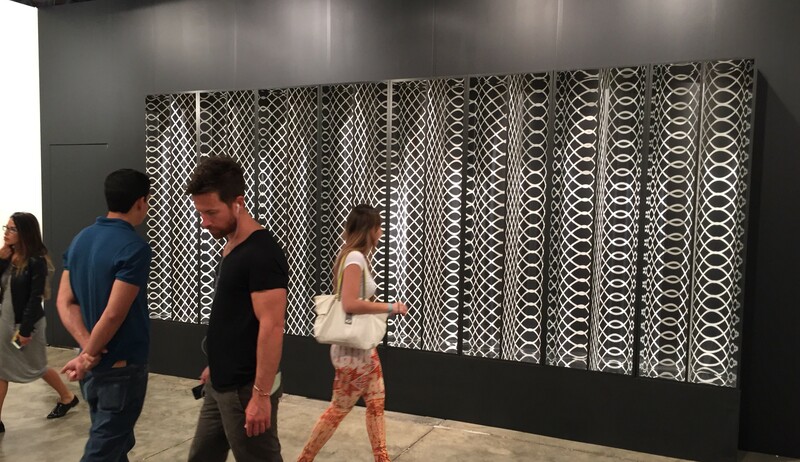 From there, we ventured south to the impressive Mana Wynwood which, among other exhibitions (it’s that huge), was home to the Pinta art fair, with a specific focus on Latin American galleries and artists. There I met the affable Ilan Karpio of IK Projects, a gallery hovering between Sao Paulo and Bogota. Turns out Karpio schooled at Chicago’s Loyola University. Small hemisphere indeed. In any case, he had two artists with him whose work caught my eye: the promising youngish Brazilian painter Daniel Athie, and the seasoned but relatively unknown Hernando Velandia, whose glass window panes etched with acid to cast beautiful patterns in shadow recall the sorrowful beauty of fellow Colombian Doris Salcedo. 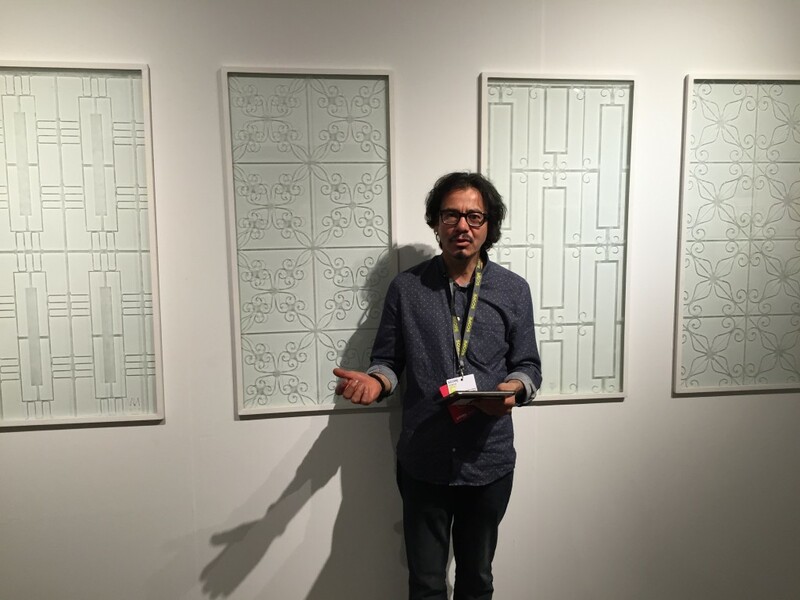 His large-scale works, shown on his iPad, were equally powerful, including the facade of an old building constructed, astonishingly, of styrofoam. 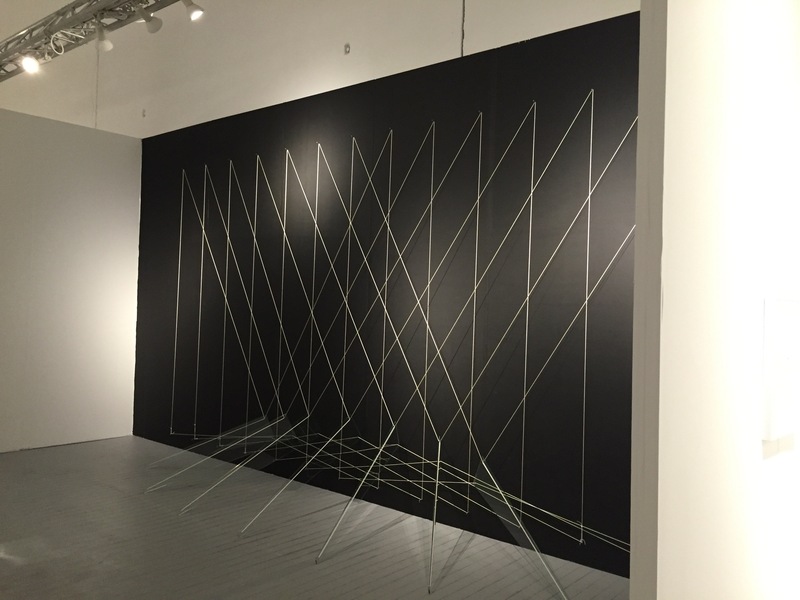 Karpio also walked me across the fair’s floor to show me the entire wall devoted to the string, paint and canvas installation of Lydia Okumura, an artist whose career is really taking off, he said, at nearly seventy years of age. She’s represented by Galeria Jaqueline Martins in Sao Paulo. 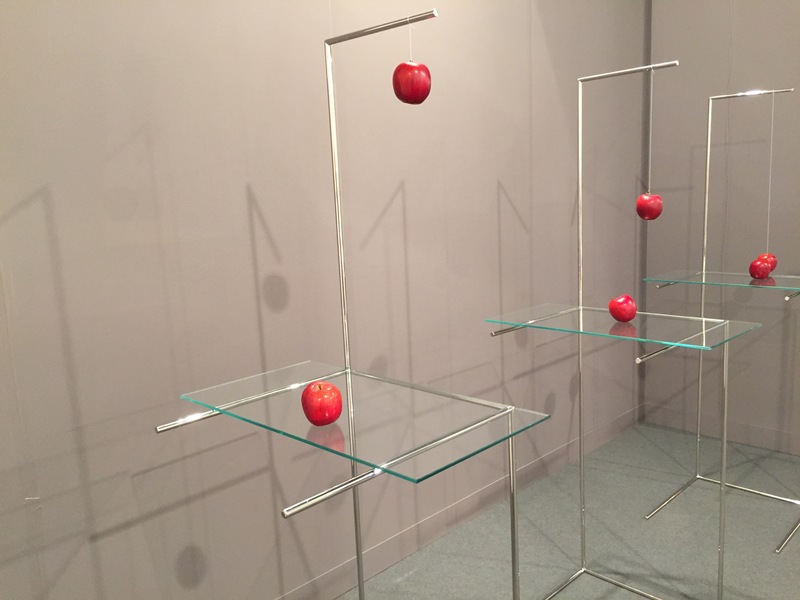 Though I had not heard of Karpio or his projects previously, I was quite enchanted by his story, especially when his father Jacob stopped by (on a respite from his own booth at the Scope art fair on Miami Beach). Turns out Ilan is the third generation of his family engaged in the art world. His grandfather, a Polish Jew forced to flee the Nazis, managed to take along canvases rolled up in his escape to Argentina. 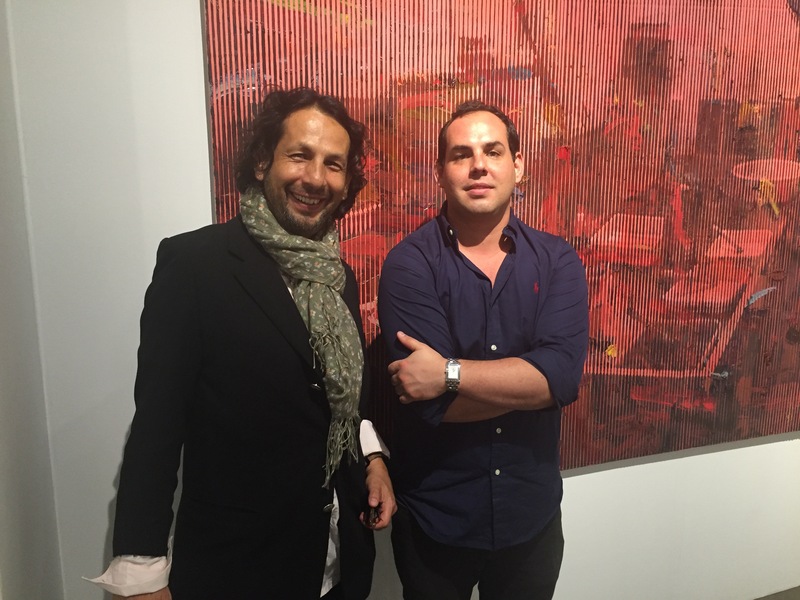 Jacob now operates galleries in Colombia and Costa Rica, and Ilan is focusing on Brazil. As we wrapped up our conversation, a commotion arose at a nearby booth. A fight! 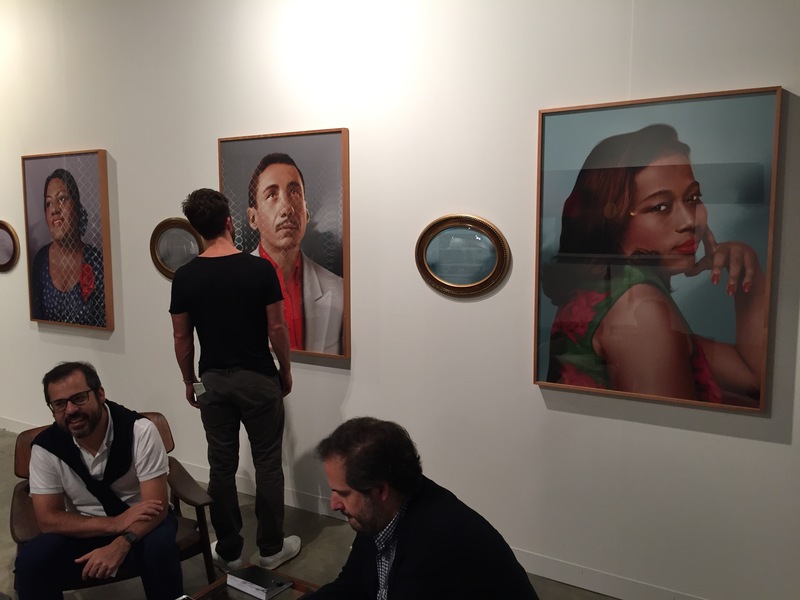 Between a fair attendee and a gallerist! Ilan chuckled that it came with the Latin spirit, and I had a bit of chatter to bring to the cocktail party later that night, hosted by the School of the Art Institute of Chicago and EXPO Chicago. Alas, the Swiss event outdid it, with a real-life stabbing grabbing the news both reported and verbal. So back to Miami Beach I went for the final day, hustling around to meet as many of the Brazilian gallerists as possible, and having nice conversations with the directors and staffs of Galeria Luisa Strina, Galeria Fortes Vilaca, Vermelho, Galeria Millan, Rio’s Silvia Cintra+box 4, CasaTriangulo and DAN Galeria at ABMB and Baró Galeria and Galeria Pilar at the Untitled art fair. And then it was time for a caipirinha or two.